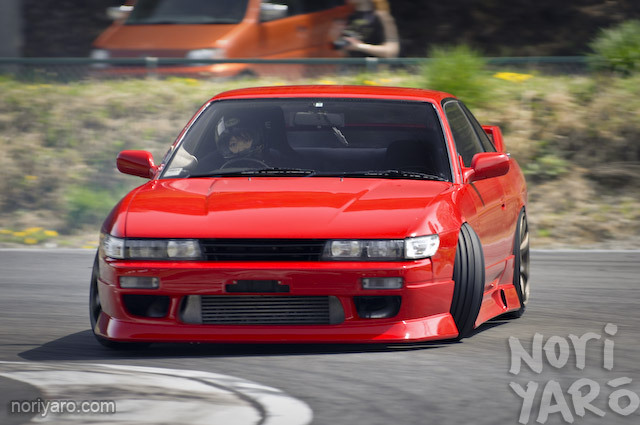 Best drifter in America…yeah, how do you like that? There’s a couple of more videos below as well, so click the “Read the rest of this entry” link for the others. Don’t forget to click on the HQ button too. Yeah, I said it. 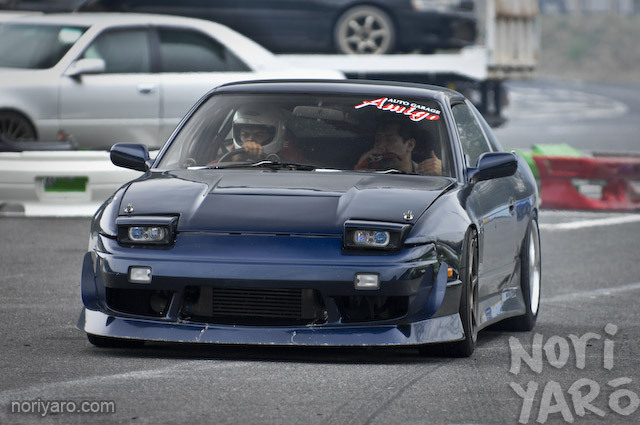 This is the perfect 180SX. 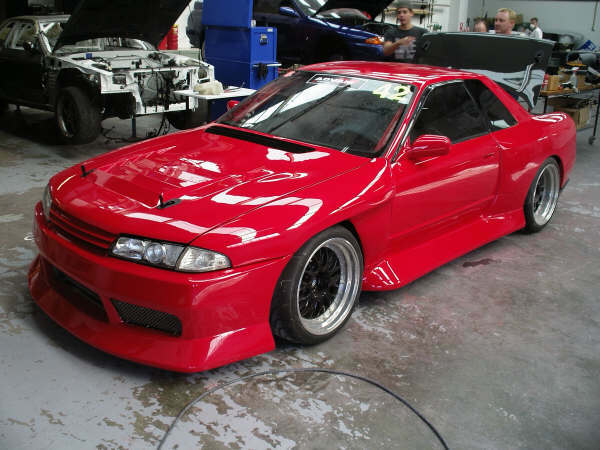 Anything else beyond this point is just showing off. 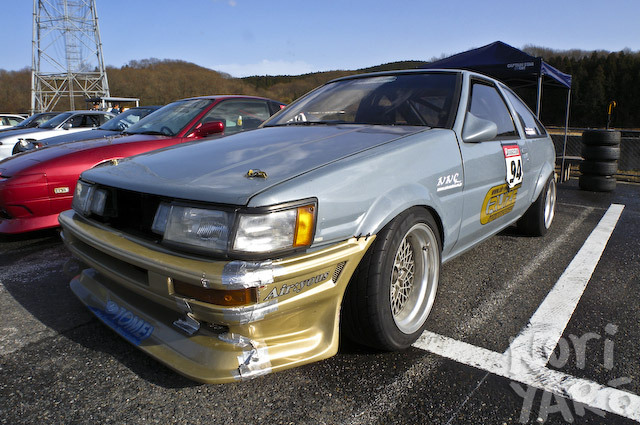 Everyone loves a good drift girl article, so here’s some more drivers who attended last weekend’s Nikko Queen. 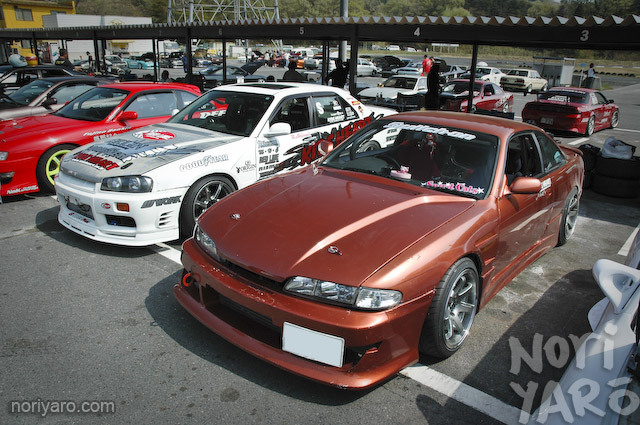 Let’s have a look at a couple of drivers that competed in Expert Class at last weekend’s Nikko Queen, Rie Shinmi in the R34, and Michiko Yasue in the bronze S14 Silvia. 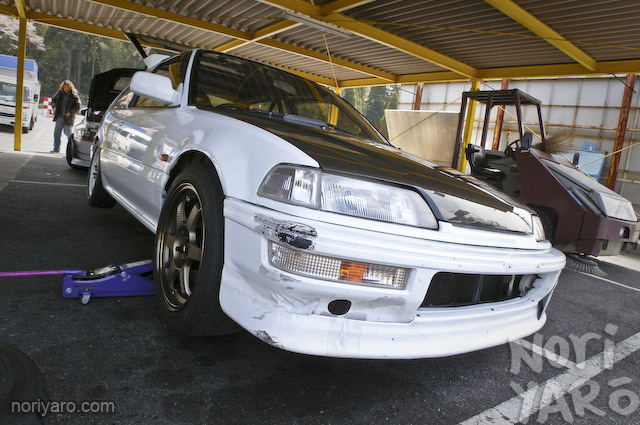 Here’s a couple of shots of Tomohiro Murayama’s newly re-shelled S14 testing at Nikko Circuit before the recent first round of D1GP at Ebisu.